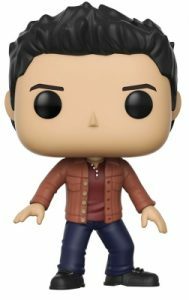 Premiering fashionably late, Funko Pop Teen Wolf joins the Pop! Television pack (yes, I did). The introductory set offers a trio of vinyl figures from the MTV reboot. Admittedly, Teen Wolf has very little in common with the 1985 film as creator Jeff Davis wanted a darker, less comedic show. 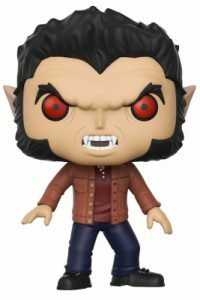 Nonetheless, the series follows teenager Scott McCall after he has been bitten by a werewolf, consequently turning into one himself. As Scott traverses the demanding life of high school, he must now rely on his best friend Stiles to help get him through those challenges as a wolf. Shop for Teen Wolf DVD/Blu-Ray options on Amazon. 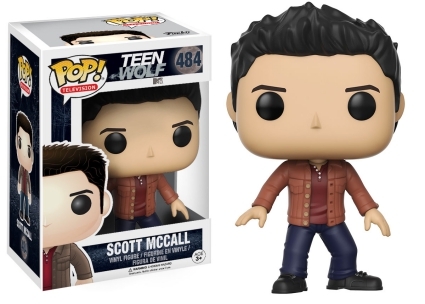 Funko Pop Teen Wolf features Scott McCall in a prepared-for-anything stance wearing blue jeans, along with a maroon shirt and brown jacket. Building on the same pose and outfit, the fanged Werewolf Form is slightly bulkier with pointy ears and glowing red eyes. His hair is also thicker, forming a v-like shape on his crinkled forehead. In addition, his best friend Stiles Stilinski wears a gray and black hoodie and grasps a backpack strap over one shoulder. 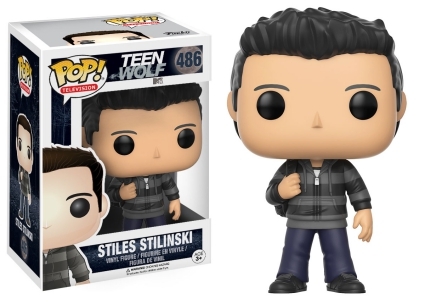 Around 3 3/4" tall, the Funko Pop Teen Wolf figures are part of the Pop! Television line. 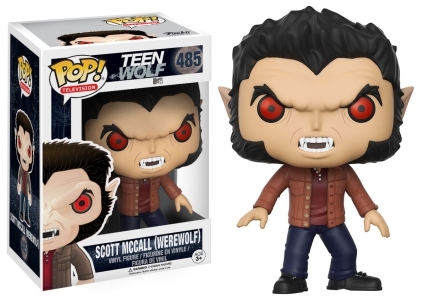 Teen Wolf - Scott McCall Werewolf Pop! Vinyl - FunKo Free Shipping!